While bringing natural light to interior spaces of a home was originally limited to costly, difficult-to-install, and problem-riddled traditional skylights, today's tubular devices are lighting up interiors with smart and sophisticated style. Bringing natural light into a home is a relatively easy prospect, provided the room is adjacent to at least one exterior wall. Windows and glass doors have been flooding interiors with light for centuries. But when an interior room is in need of daylight, the options become far more limiting—namely skylights. Since the 1980s, tubular skylights (a.k.a. 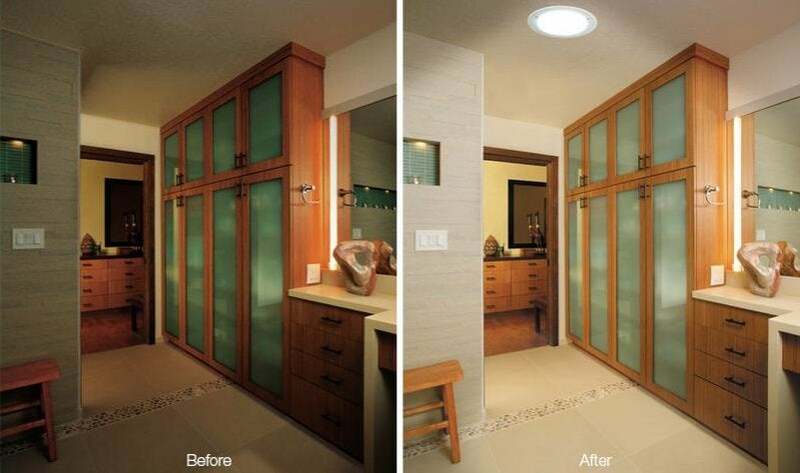 solar tubes, light tunnels, daylighting devices) have been gaining popularity as an easy way to bring natural light into just about any room of the house. More compact, less expensive, and easier to install than their traditional counterparts, they are lighting up today’s homes in a much smarter and more efficient way than ever before. Tubular skylights, like the name suggests, are tube-shaped devices that, through a rooftop lens and reflective-lined tube, capture sunlight and deliver it to the interior space of a home or office. Consisting of three main components—a dome, a tube, and a diffuser—they are more compact than standard rooftop skylights and, as a result, more affordable and less labor-intensive to install. With designs that feature rigid, adjustable, and flexible tubing, they can also be configured for spaces where a conventional skylight is not feasible. A tubular skylight uses a rooftop dome to capture the sun’s rays. The light is then transferred indoors through a highly reflective tube-shaped duct. A diffuser mounted in the ceiling disperses the natural light to the room below. 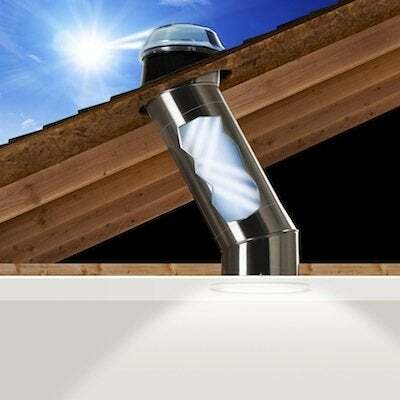 Unlike traditional skylights that need direct line of sight, tubular devices can be configured easily to avoid attic obstructions and deliver the light where it is needed—in some cases, as much as up to 40 feet for Solatube products. Installed in hallways, laundry rooms, bathrooms, and walk-in closets, tubular daylighting devices not only help lighten interiors, but save on electric costs. International Innovation Award, it combines daylighting with LED lighting. When there’s plenty of sunlight, the tube delivers natural light. Too much light, an optional motorized baffle dims the output. At night, energy-efficient LEDs automatically turn on. The result—a seamless blending of natural and LED light throughout the day and night. What to look for when shopping for a tubular skylight? Though the parts may appear similar from system to system, not all tubular skylights are created equal. Technology makes a big difference in lighting performance. You’ll want a product that delivers the full spectrum of light, so that you get the brightest and whitest natural light possible. Look for a device that is suitable for your roof style and manufactured with built-in, leak-preventing flashing. Also, choose one that offers adaptability in terms of tubing configuration and carries the Energy Star label, guaranteeing thermal performance and efficiency. Solatube Daylighting is designed with a patented light-capturing dome that redirects low-angle sunlight and rejects overpowering midday summer sun to deliver a consistent natural illumination throughout the day. 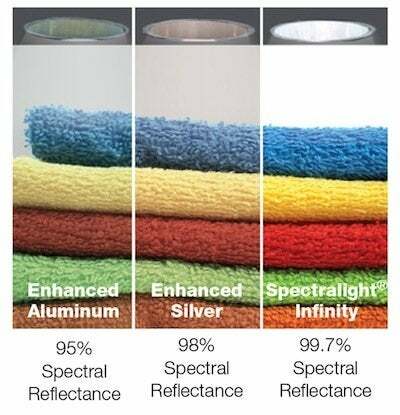 The Spectralight® Infinity Tubing promotes maximum sunlight transfer with pure color rendition. And, the products can be outfitted with a variety of flat-, recessed-, and decorative-mount ceiling fixtures, along with warming and softening lenses, ventilation, dimmers, and occupancy sensors. This post has been brought to you by Solatube International. Its facts and opinions are those of BobVila.com.